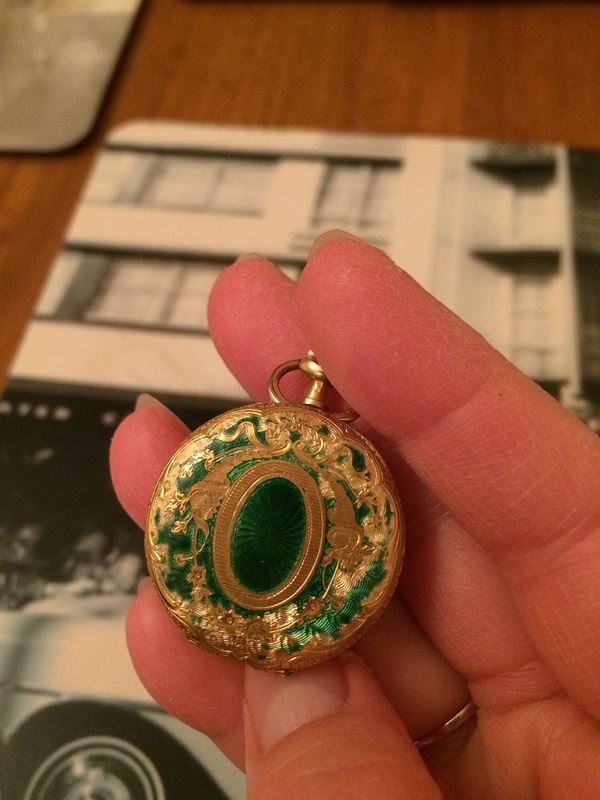 I have now the pleasure to introduce you to a lovely enamel pocket watch. The dial has ‘Vulcain’ brand on it. 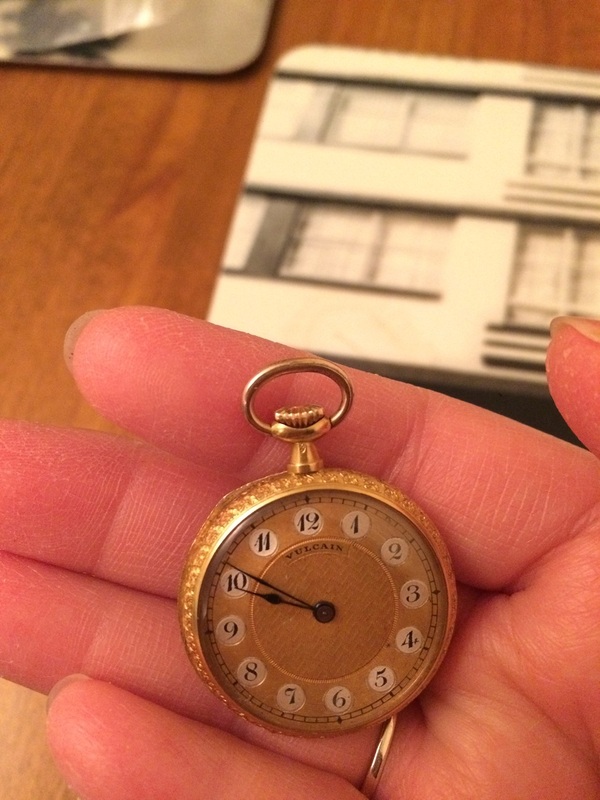 And the dial is lovely enamelled with breguet numerals. It has blue hands. This watch is probably French and it is Victorian approximately late 19th Century. The watch is a typical fob ladies pocket watch, so it is a small one. The diameter is around 29mm and the total weight including the movement is 17.5 grams. The back of the watch is also enamelled. 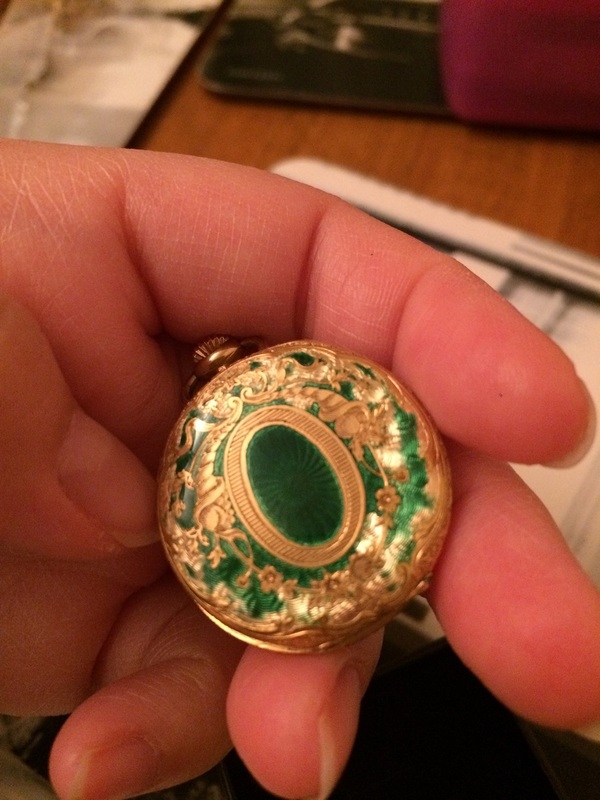 It has green and gold enamel with beautiful flowery design. The enamel however is damaged, particularly around the bottom edges. Well, it is sad, though, but I got it at a pretty decent price. If there is no damage, the watch will be far more expensive. What makes me decided to buy it is because it is an 18k gold watch. 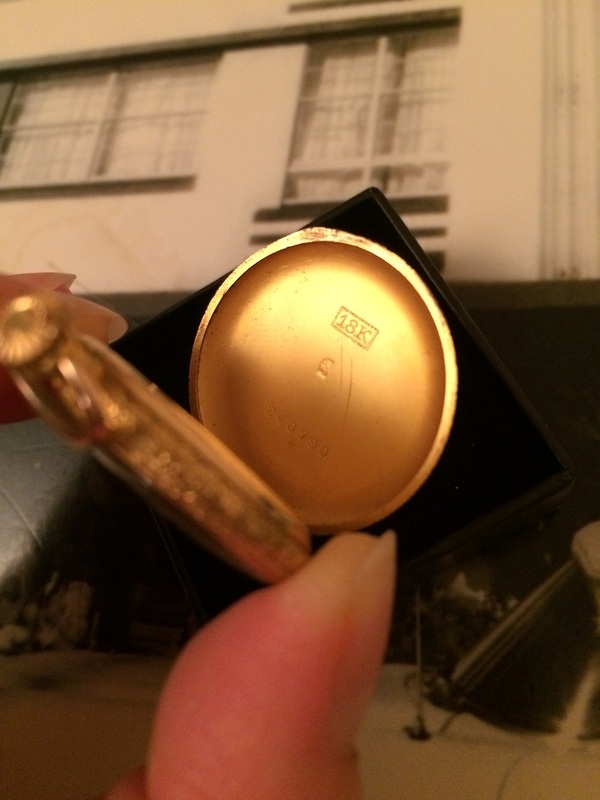 It has Swiss hallmark 18k with Helvetia head symbol. 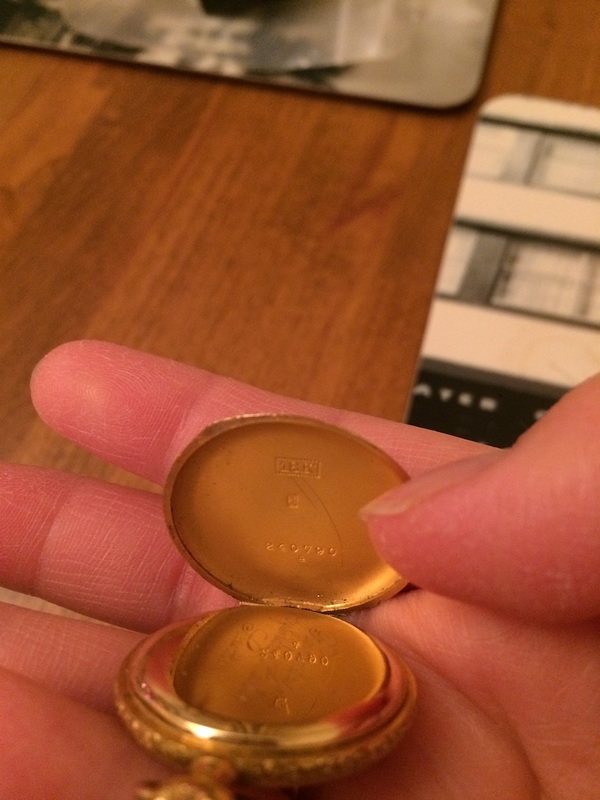 The crown or the winder at the top, I think, is also an 18k because you can see the Helvetia mark on it. I also can see a little mark on the bow. So I hope the bow is original and also 18k. 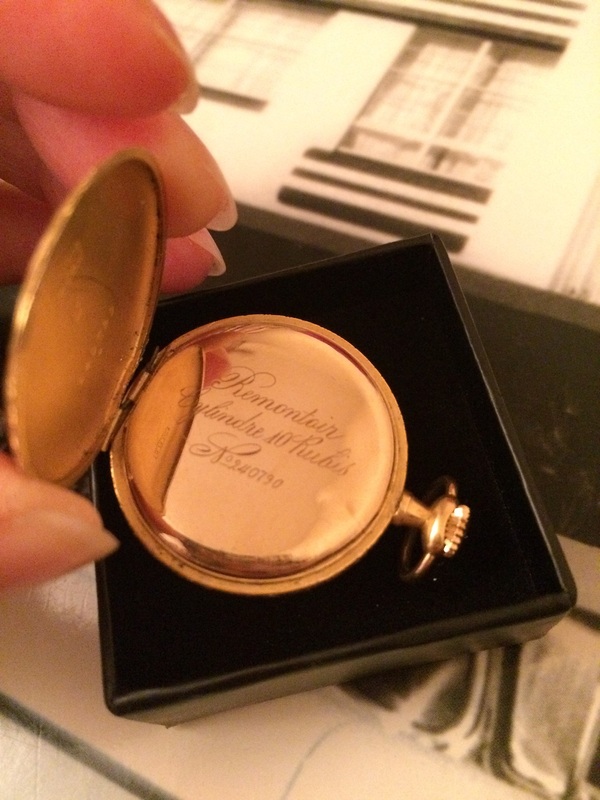 Crown or winder 18k ladies pocket watch, can you see the little ‘Helvetia head’ mark below the crown? This pocket watch has a registration number 240790. 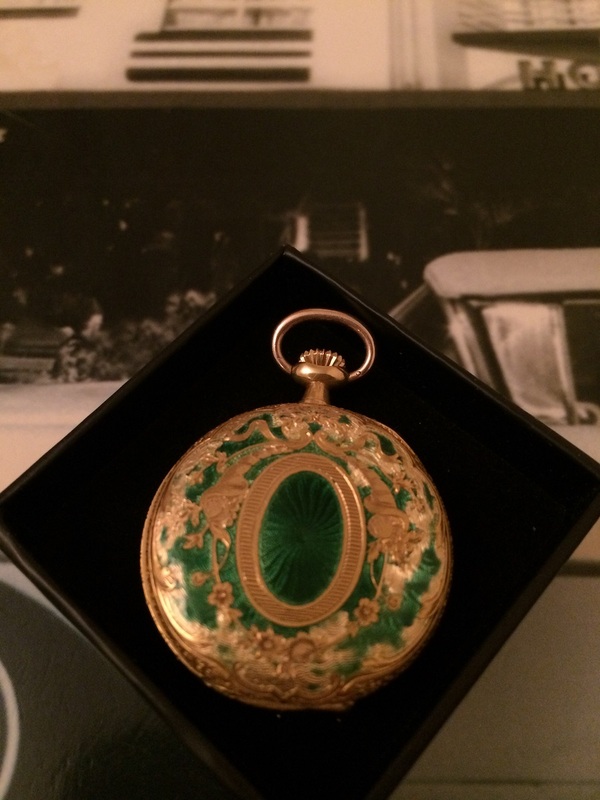 Inside it is also inscribed with ‘Rementoir Cylindre 10 Rubis No 240790’. This inner cover is also 18k. This inner cover has a little dent on it. I think because people try to open it to see the movement. 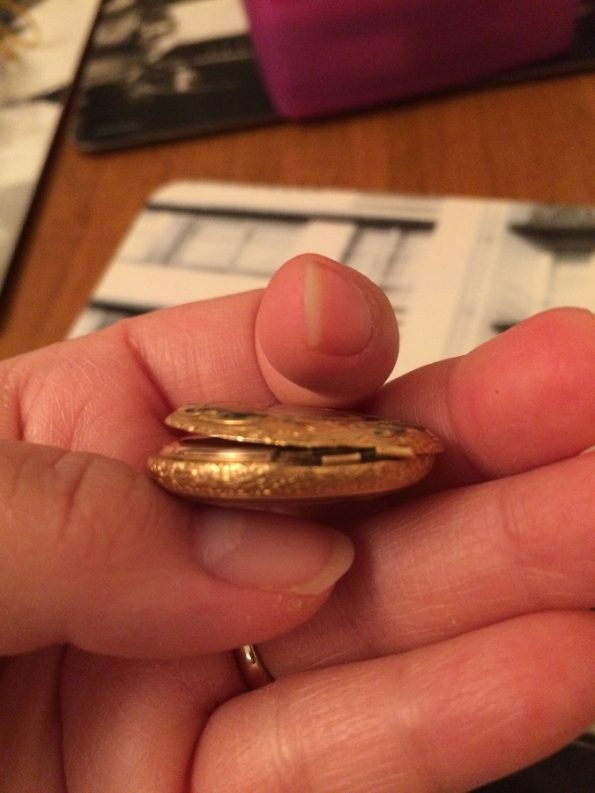 I also try to open the inside to see the movement, but I can’t and didn’t want to press it. I think it needs a special tool to detach the inner cover. According to the seller the movement is unsigned and has cylinder escapement. 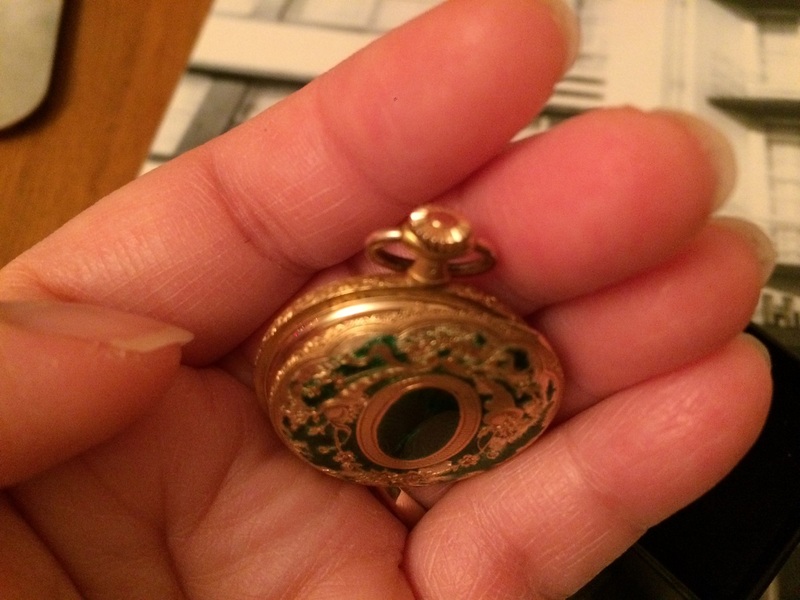 There is a hinge issue at this pocket watch. The hinge is unfortunately broken. I hope I can get this hinge fixed one day. 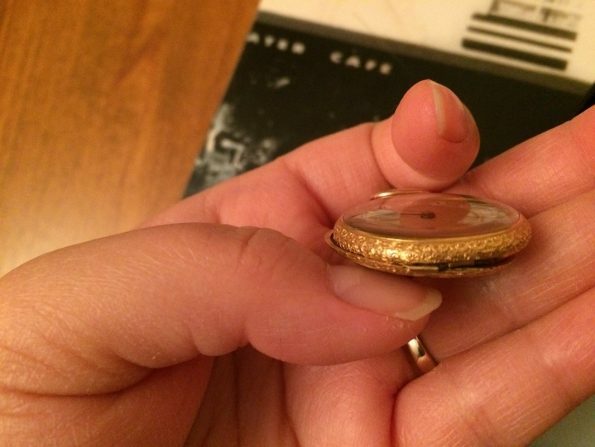 Because the hinge is broken, the pocket watch cannot be closed properly. All in all, I still love this watch because of its lovely enamel. 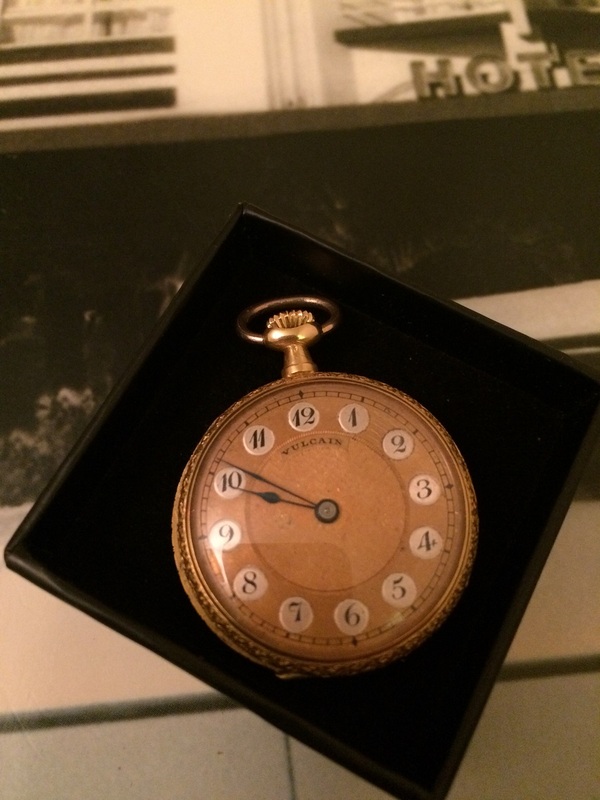 According to the seller, the watch is working, though I have not tested it (I am too afraid to play with it! ).